When the Glitter Guide asked me to share some of my love of food with them, I jumped at the chance. over to the Glitter Guide and check out my question + answer with them here. Position rack in center of oven and preheat to 350°F. Line baking sheet with parchment paper. Sift flour, baking powder and salt into medium bowl. Mix sugar, melted butter, 3 eggs, vanilla extract, orange liquer and zest in large bowl. 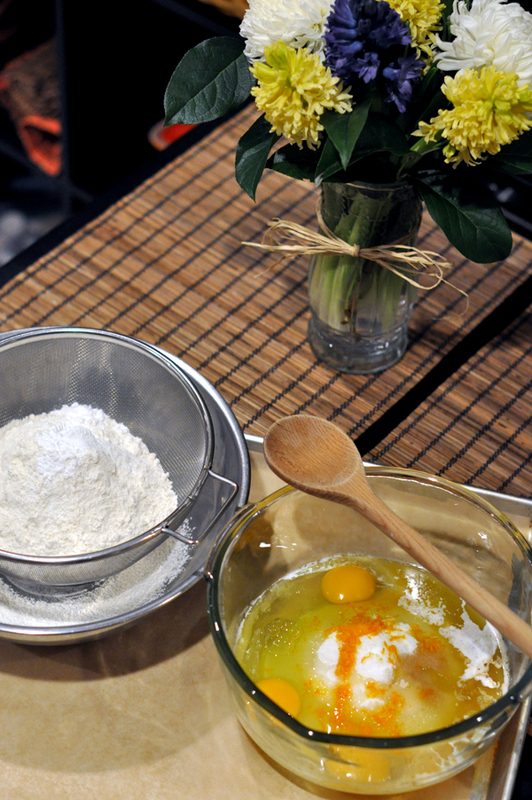 Add flour mixture to egg mixture and stir with wooden spoon until well blended. Mix in almonds. Alexia Mickens - Yummy treat! You look lovely! Whose your lipstick by? Inés - Oh!, Kim, the title alone had me just about ready to lick the screen. beautiful recipe! Jessica - I love how you posted a recipe! 🙂 I had no idea you loved to cook. As much as I LOOOOOVEEE getting fashion tips from you, I got super excited when I saw that you posted something more personal and about your love of food!!!! Because hey, I ALSO love food! 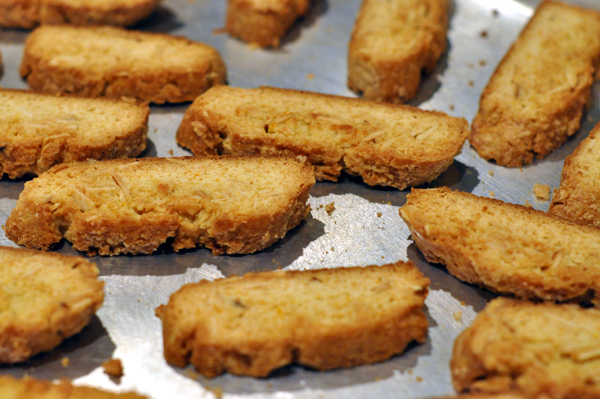 Renee - These look delicious, I love biscotti. Such a great coffee treat! Kat - Yes! I remember seeing your spotlighting on Glitter Guide! That is amazing! I enjoy baking when I can. It’s almost therapeutic for me. Mademoiselle Meese - these look amazing! I’ll have to try the recipe soon. heather - ummm yes and please. def making these! what a great glitter guide piece 😉 congrats love!